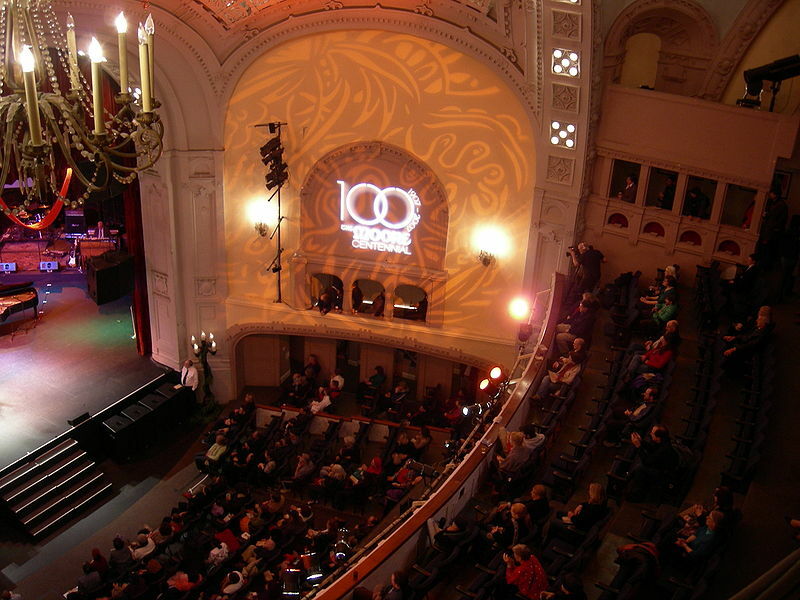 On January 17th, Pearl Jam performed at the Moore Theater in Seattle. 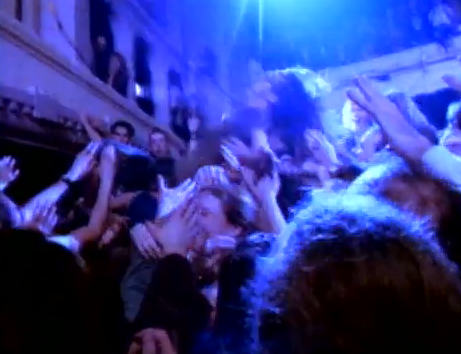 The show was videotaped by Director Josh Taft and the footage was used for the ‘Even Flow‘ video. 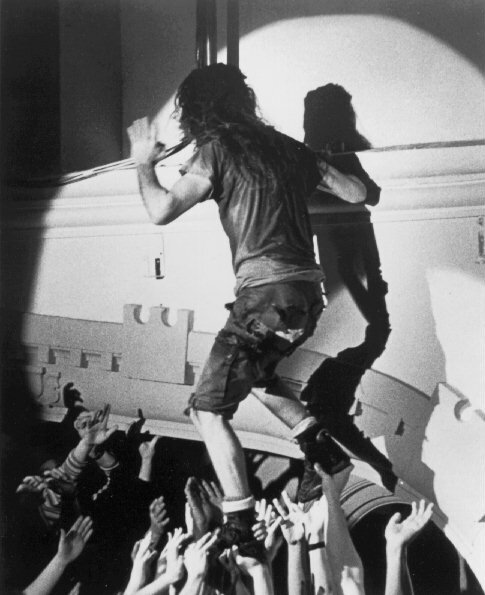 Here’s a photos of the ledge at The Moore Theatre where Vedder took the leap.. 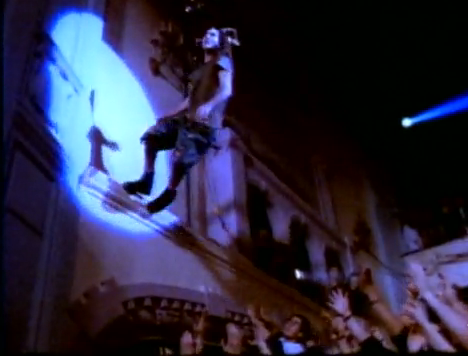 The footage used in the video is actually spliced from different songs: for instance Stone Gossard and Mike McCready each play two different guitars, Vedder wears a hat at some point and the theatre climb actually occurred during “Porch“. 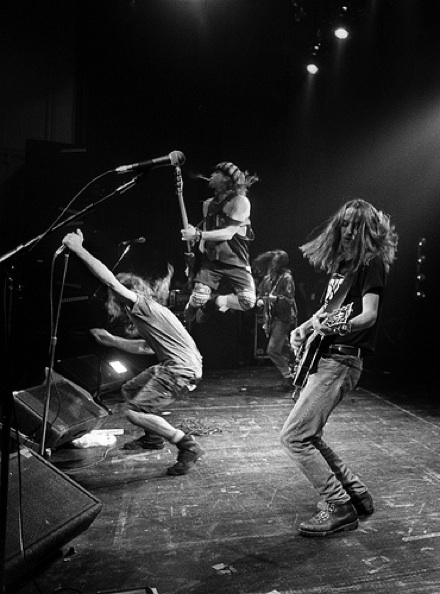 The alternate studio recording of “Even Flow“, which was recorded in 1992 with Dave Abbruzzese on drums, was used for the video instead of the album version as the band felt it synched up well with the live footage. The video was released in April 1992.